3 bedroom, Parcel No. 96/1 Chan Pine Ridge, Orange Walk Dist. 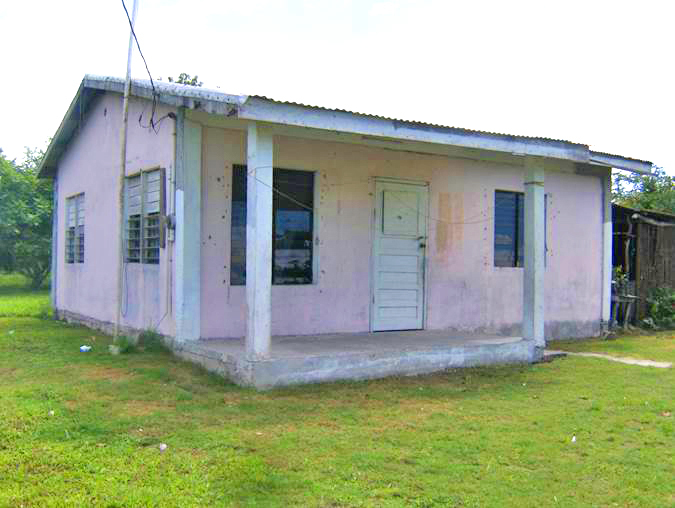 1 – 3-bedroom concrete bungalow house containing 1-living, dining & kitchen with 1 bathroom. Parcel # 96/1, Block 4 Chan Pine Ridge registration section, containing 907.48 s.m., situated in Chan Pine Ridge Village, Orange Walk District, held under a Certificate of Lease, being the Leasehold property of DIANELA TZUL REYNOSO aka AURORA DIANELA TZUL surety for ESDRA NERMIAS REYNOSO.